Middle East-Iran-Yazd This is the Dolat Abad Garden. It was great to walk around. 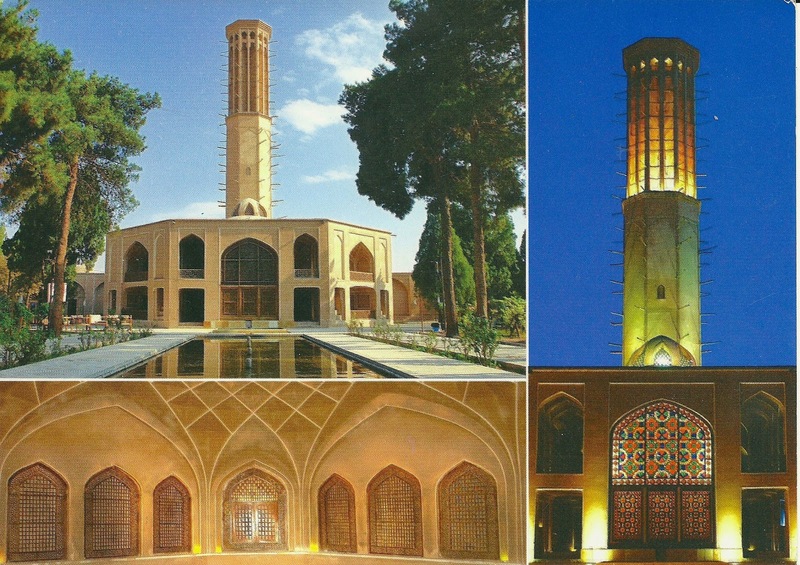 It is also a wonderful Persian Garden which is a World Heritage Site. Middle East-Iran-Shiraz A very nice city. 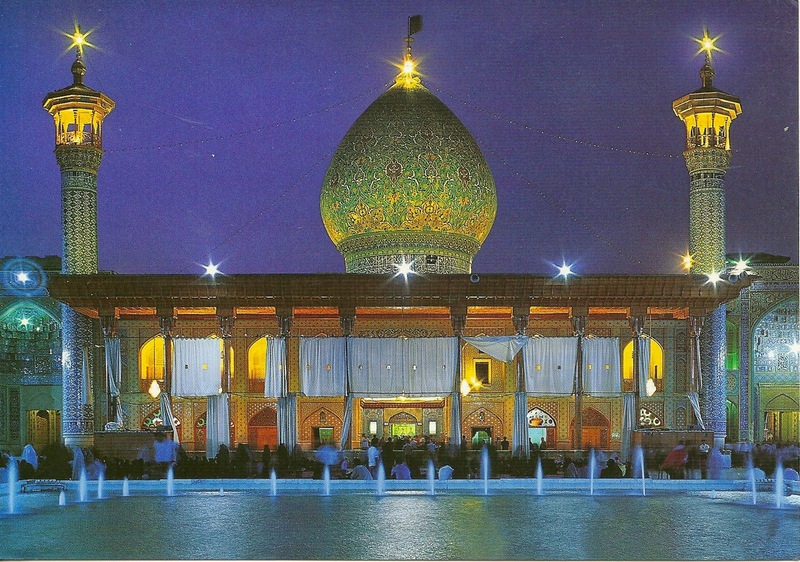 This is the Shrine of the Shah e Cheragh . Beautiful colours at night on the individual tiles. 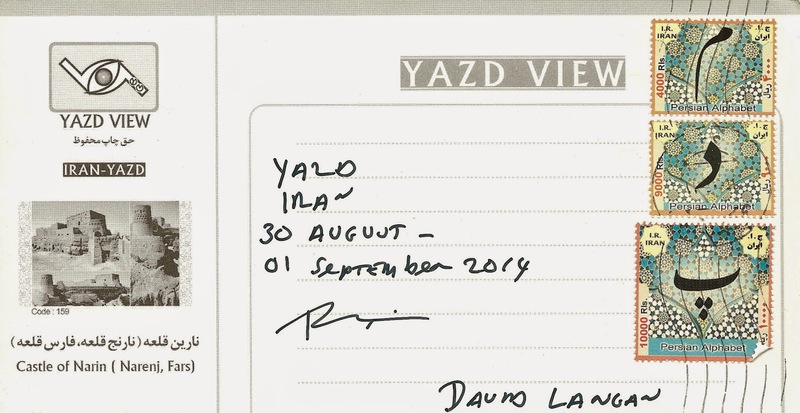 This postcard has a unusual postmark. It says "Export ". I guess that means airmail? The stamp on the left remained unmarked. Middle East-Iran-Yazd The first stop on my trip to Iran. 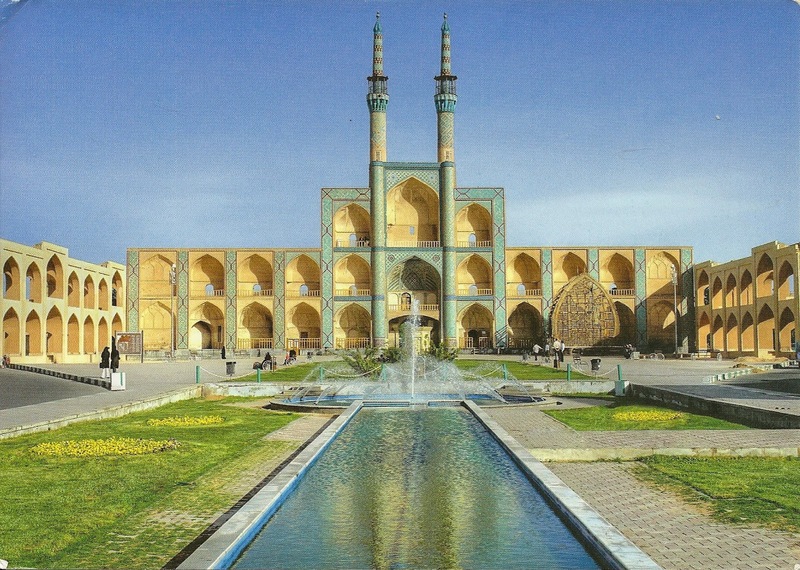 This complex is just outside Yazd. It is known as the Castle of Narin. It is really all mixed dried mud. Amazing and great to see. 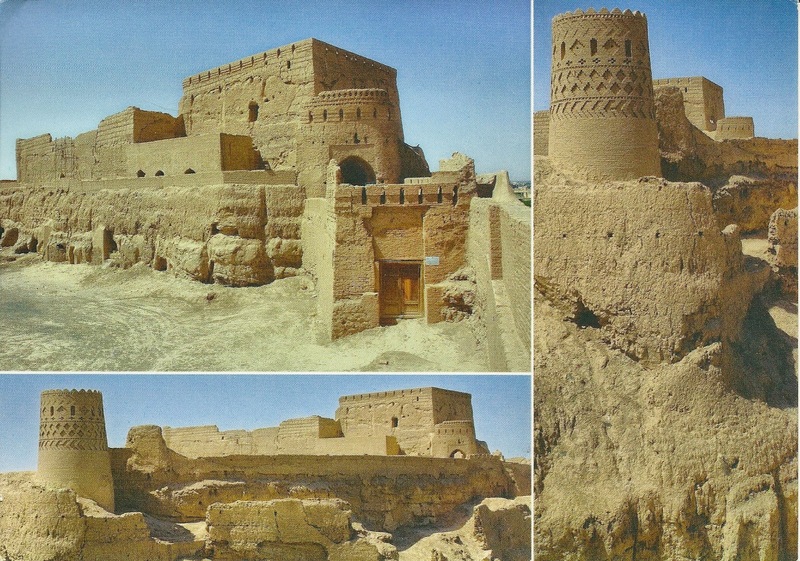 Here is a Definitive Set from Iran. 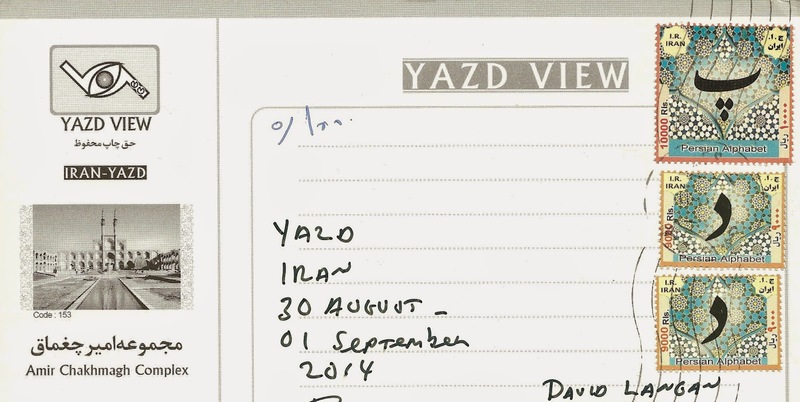 It features the Persian alphabet. It is quite stylish. These are the only stamps that all the Post offices had. If you wanted anything else had to go to a philatelic counter or find one which was not often easy. Middle East-Iran-Yazd This complex is the Amir Chakmagh Complex. It sort of looks like a mosque. Inside it is a bazaar. This area is crowed at night with people and shops. A great sight. Right down town in Yazd. Showing more of the Alphabet and some other letters. I did look at the idea of getting a set but no post office had every one. All the Post offices have letterboxes outside where you mail from . Africa-Morocco-Marrakech Here we have the Gardens of Yves St Laurent . The Blue colour on the buildings is fantastic to see with the light. The Gardens are very nice to view . On the day I was here the movie star Bill Murray was also walking around. So I was in fun company . Finished off with a snack in the cafe. Posted in Marrakech with the only stamp I could get the King himself. 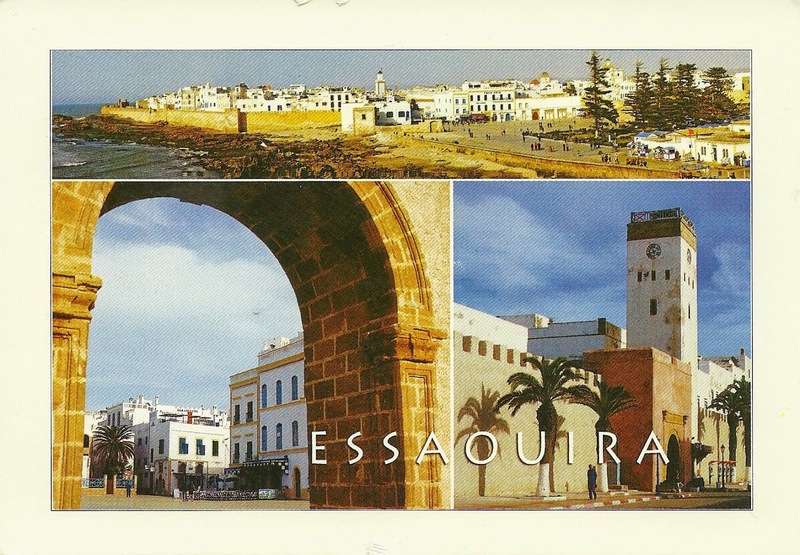 Africa-Morocco-Essaouira A enjoyable town to visit. Just a few hours bus ride from Marrakech. However its main claim to fame is how windy this place it. I can confirm it is correct. So not a good place to lie out in the sun due to the wind. The hotel had wind breakers which were helpful. The town itself is less crowded then Marrakech with the added attraction of not being bothered every where you went by street people. The Medina itself is a worthy World Heritage Site. Enjoyed my stay here with some very nice restaurants. Sent this card from the Main Post office opposite the Bus Station. 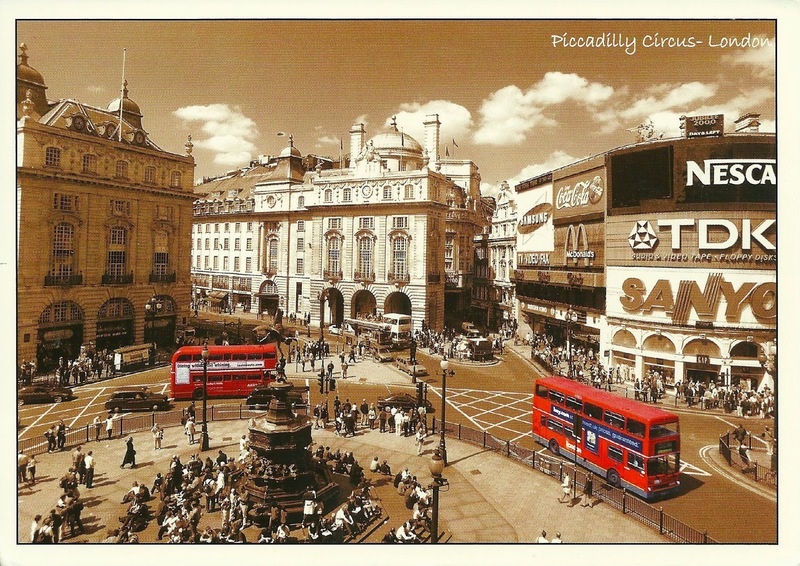 Europe-England-London Piccadilly Circus , a famous landmark in London. I have often gone around here on a bus , like the ones here. Again a English Country stamp and a UK stamp. As it often happens in the UK these stamps are not postmarked. 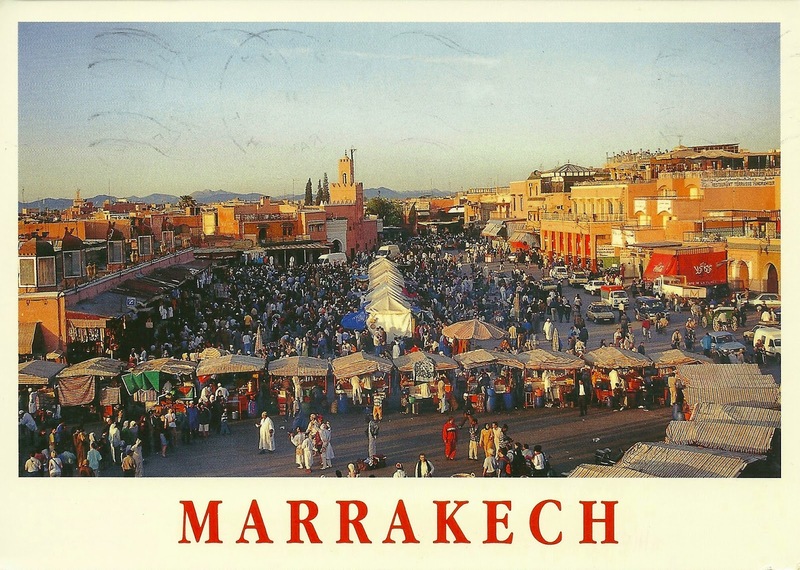 Africa-Morocco-Marrakech One of the cities on my list to visit for a long time. So once direct flights from Dublin started I took the opportunity to go. It lived up to my expectation. Fully of flavour and atmosphere . Here is the main square as it looks today. 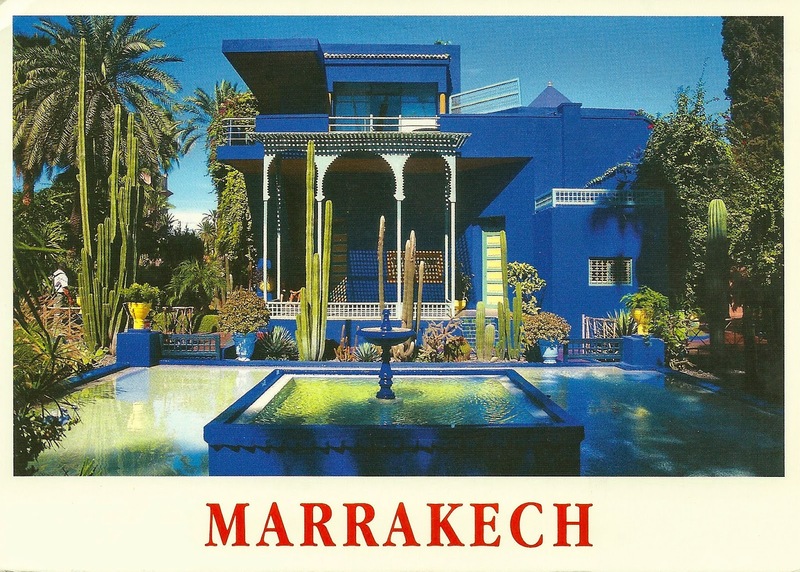 The Medina in Marrakech is a World Heritage Site. The Post office had no choice in stamps, though they showed photos of new issues. But were not available in the Post Offices I visited. Europe-Italy-Tivoli This is the Villa Adriana in Tivoli. Not as impressive as the gardens , though the town is very nice. The Villa is a World Heritage Site. I ended up posting this card at the airport. 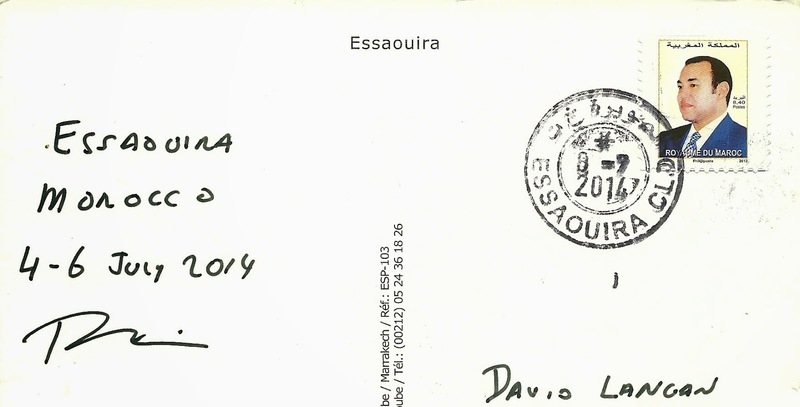 So a Roma Fiumicino Postmark. 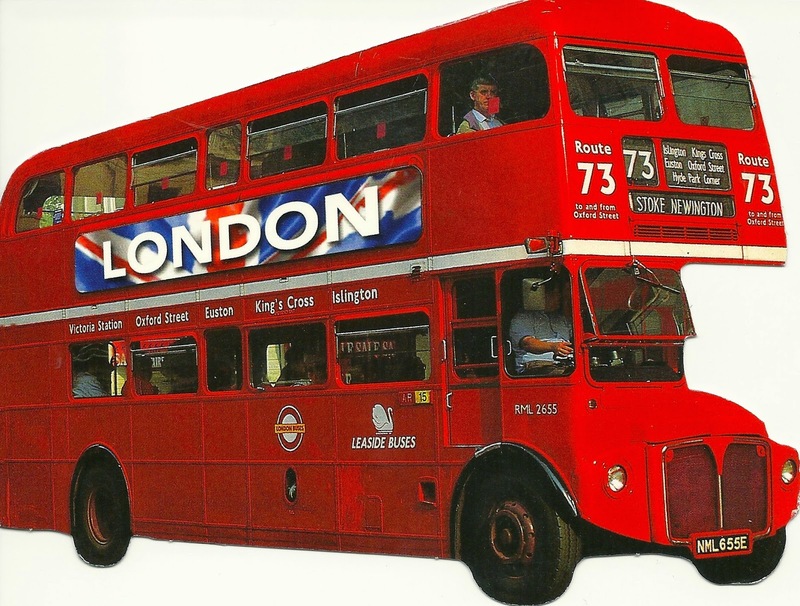 Europe-England-London A old fashioned London bus. I used to love these buses and being able to jump on and off when they were moving. However I see that a new version has it the roads . On the English stamp there are the three Lions of England. The UK stamp features Peter O Toole a Irish actor in the flim " Lawrence of Arabia "
Europe-Italy-Rome It is such a long time since I was in Rome it was great to visit earlier this year. It was very easy to get around and traffic was not as bad as I had expected. 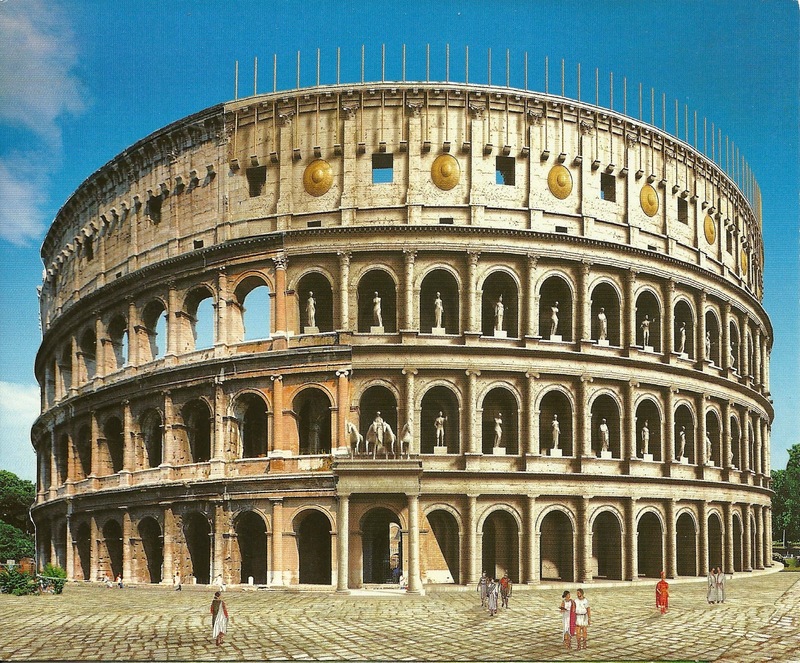 This is the Colosseum and a World Heritage Site. I was here over a weekend, so not much joy trying to find a good selection of stamps. 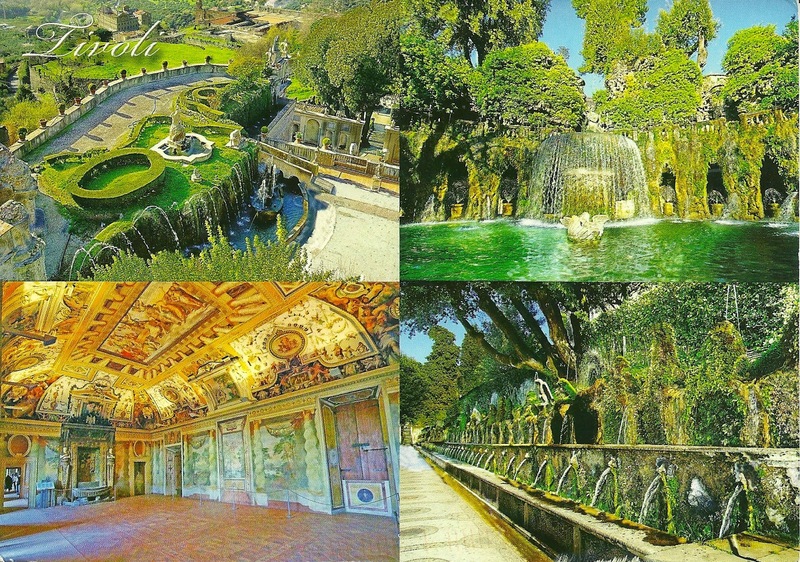 Europe-Italy-Rome The Villa D'este , the Tivoli Estate and Gardens. A most beautiful Gardens and waterfall. 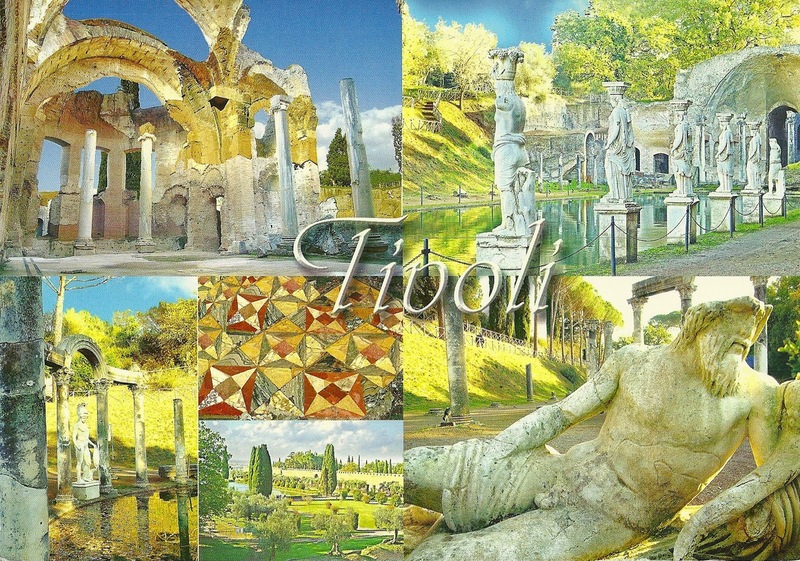 A must see in Rome and a great way to spend a half day. Also a World Heritage Site. I bought this stamp in a local Tobacco shop that also sell stamps.